We’ve been waiting for years to see what Microsoft’s answer to Google Docs would be, and now we’re getting a look. The Technical Preview of Microsoft Office Web Apps is here. Microsoft had originally planned to roll out the Technical Preview by August, but that timeframe slipped by. You never get a second chance at a first impression though, so better to delay the introduction than to get off on the wrong foot if there were serious issues with the software. 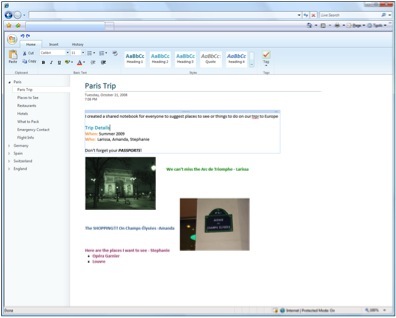 Office Web Apps merges key elements of the Microsoft Office productivity suite into the cloud. 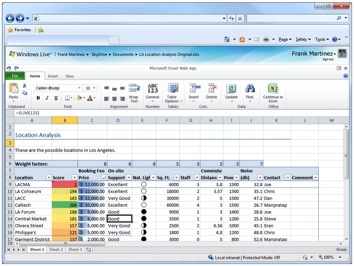 The menu of applications available in Office Web Apps mirrors the applications found in the Microsoft Office Home and Student 2007 suite: Word, Excel, PowerPoint, and OneNote. You won’t find applications like Access or Outlook here. Some aspects of Office Web Apps are not yet available during the Technical Preview. This is a pre-release version of the software and Microsoft is still testing, gathering feedback, and making course corrections so that the end result is a success. The most obvious missing component is OneNote, which has no functionality in the preview. Word is also limited to viewing files at this time. Office Web Apps takes the familiarity of the Microsoft Office applications users are used to and provides virtually the same experience online. The backbone of Office Web Apps is Windows Live SkyDrive, Microsoft’s free online storage offering. In order for the documents and presentations created in Office Web Apps to be available to you from anywhere in the world, or available to share with others, those files need to be stored where they can be accessed from anywhere. SkyDrive lets you store your data in the “Cloud” so it can be accessed from anywhere you can connect to the Internet. There are two things that immediately catch my attention. One is the ability to bounce seamlessly from the Office Web App software to its desktop equivalent and back again. The other is the continuity of experience- or fidelity as Microsoft refers to it- between the traditional Microsoft Office suite applications and their Web-based Office Web App peers. You don’t need to have Microsoft Office installed locally to use Office Web Apps, but if you do you can open files from SkyDrive in the local software and save them back to the Skydrive. The Office Web Apps are robust, however they lack some of the features and functionality of their desktop counterparts. Within the Office Web App you have one-click access to open the file in the desktop version of the program instead. The other impressive thing is how much the Office Web App versions mimic the look and feel of the desktop versions. Some may say that is too complex or cluttered. I would say its familiar. Regardless of your feeling about the functionality of Microsoft Office products, providing the same experience–including the Ribbon interface–provides a familiar environment with little or no learning curve. 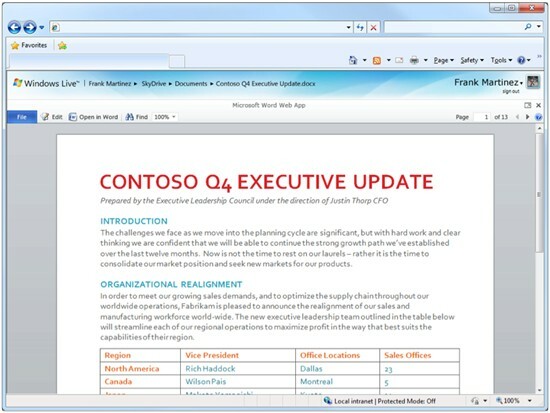 Office Web Apps supports Internet Explorer, Firefox, and Safari web browsers. That doesn’t necessarily mean that you can’t use Office Web Apps from Chrome or Opera, but it does mean that Microsoft has not invested the time and effort to make sure that the ‘fidelity’ of the Office software is maintained in those browsers. Basically, you can give it a shot, but Microsoft isn’t making any promises about if, or how well, it will work. At first blush, the online suite looks fairly impressive. I realize Google Docs has been delivering similar functionality for a while now. There is nothing groundbreaking about delivering document, spreadsheet, and presentation software over the Web. However, Google Docs is not Microsoft Office. Office Web Apps doesn’t just deliver the functionality of creating documents, spreadsheets, and presentations in the cloud–it extends the Microsoft Office experience that we are all familiar with in a way that Google has yet to fully emulate. When we last compared Office to Google Docs, Microsoft’s lack of a robust Web-based solution led to a tie between the two. Next time, things may be different. Want to see more of the Microsoft Office Web Apps? Take a closer look at the Excel Web App, the PowerPoint Web App and Office Web Apps’ sharing and collaboration features. At press time, Word and OneNote were not yet fully functional.